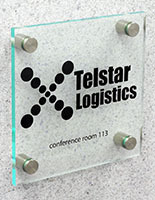 These Door Signs Look Great in the Interior of a Corporate Business! 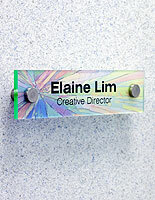 These Name Plates Are Lobby Displays for Custom Signage on the Provided Film! These Door Signs Are Priced to Sell! Green-edges acrylic plates hold 8-1/2" x 11" signage. Stand-offs in stainless steel create stylish look. 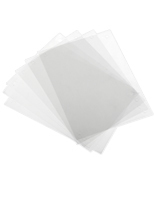 Comes with (3) sheets each of clear and frosted printable films. 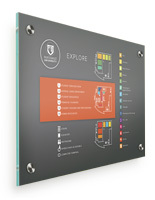 Great for mounting on doors or walls in businesses, schools and other corporate environments. 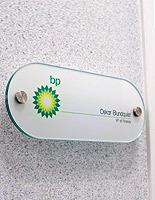 These door signs, similar to lobby directories, feature modern green-edge acrylic constructions that offer the appearance of glass at a lower price point. The custom business displays are actually some of the lowest costing options when comparing them to the similar DIY systems available. These door signs include different types of printable film for use. Users can choose between frosted and clear. These door signs offer the choice because there are three of each type in the package to best fit the content and atmosphere. The multiple sheets let users update their content later. These door signs are convenient to make because templates for the custom design may be downloaded from below. After the advertisements are finished, simply users position them in between the two acrylic panels. 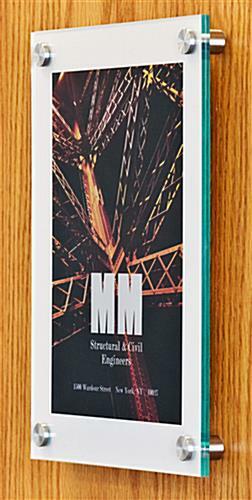 These door signs then can be mounted the assembly onto the display surface with the standoffs for one of a kind business fixtures. 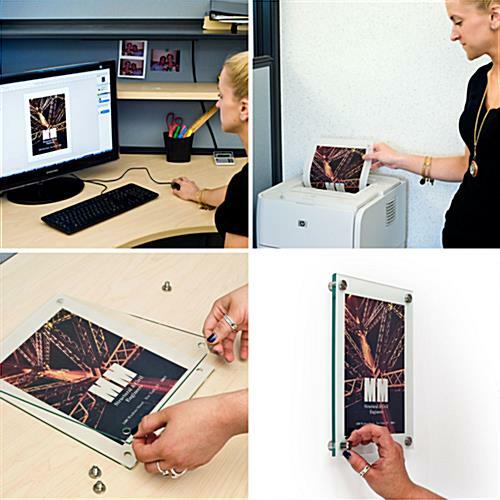 The DIY nature of the displays is very convenient! 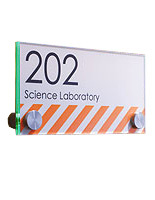 These door signs that measure 8-1/2" x 11" are complete signage solutions for the occasion. The lobby displays are frequently implemented for presenting room numbers and designating specific areas in various establishments. 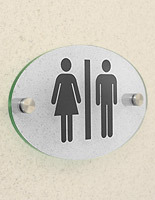 These door signs are commonplace within hospitals, educational facilities and offices. Clients and vistors are sure to look for the panels in these settings. 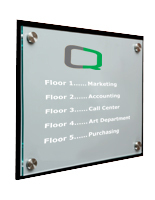 These door signs, commonly called directory systems for name plates, are different from most other solutions because they are customizable. The user merely designs the custom images and messages on a computer, and prints them out on the provided films. 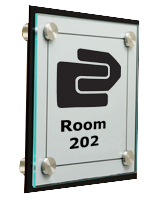 These door signs which include printable sheets are then pieced together and displayed with the provided hardware. While walls are the most common place for the displays, users can put the units on most flat surfaces. These door signs feature upscale materials and finishes to best fit in with the different atmospheres and schemes within the venue. The versatility of the units allows users to put all sorts of messages on display.